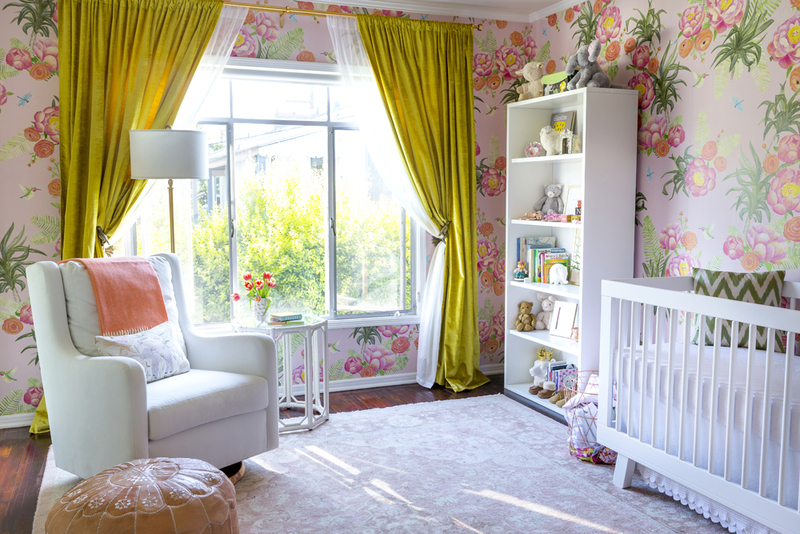 Hi there, today I’m introducing a very floral regency-esqe nursery I helped design for Emily Henderson. 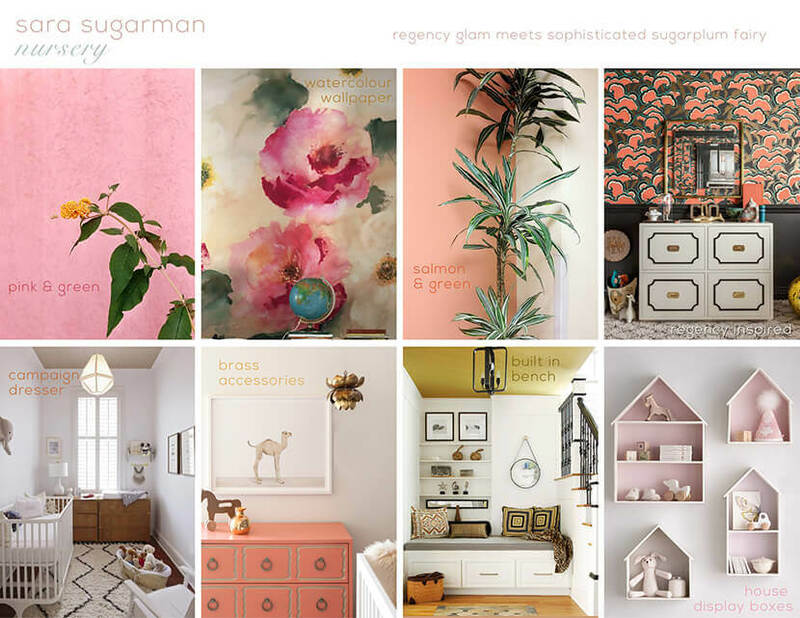 Sara Sugarman (founder of Lulu & Georgia) was pregnant with her first baby and wanted us to design the nursery for her soon-to-be-born, Vivian Mae. The room was being used for their home office and had lots of potential with the big windows and built in cabinets. 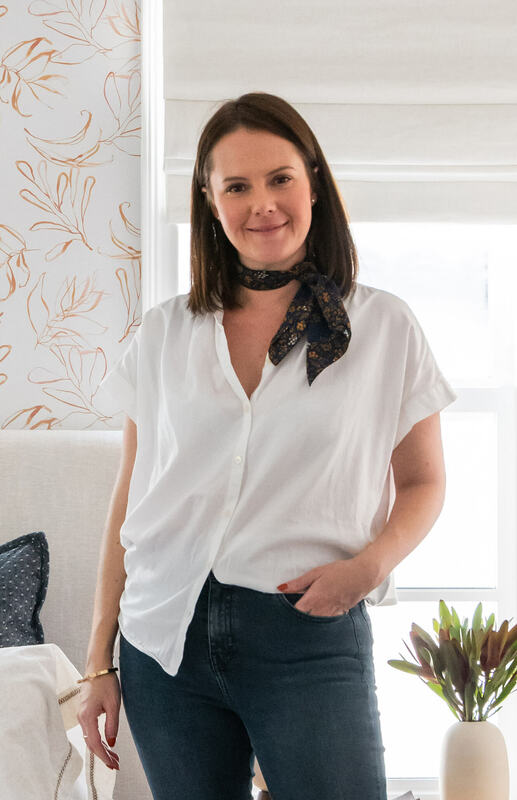 With the apartment being in West Hollywood Sara like the idea of bringing in a Regency vibe and wasn’t afraid to go bold. 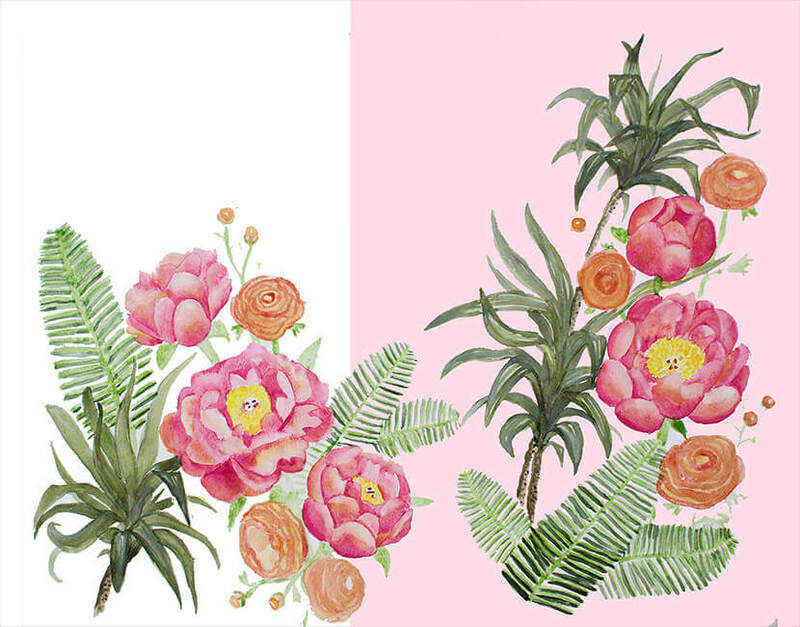 She loved the idea of pinks, corals and soft greens and wanted to create a custom floral wallpaper that she could eventually sell on her site. I pulled together a look a feel board with some initial ideas to present to Sara and help start a conversation about the direction. 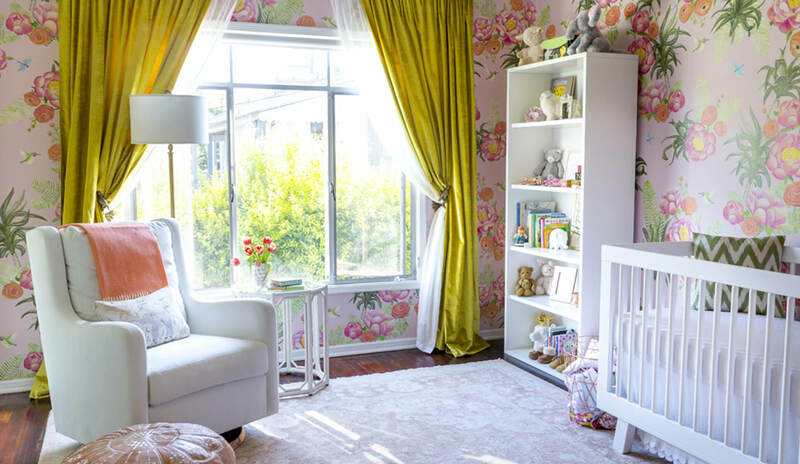 We knew we wanted to make it sweet, since is a girl’s nursery but also sophisticated with a touch of glam. 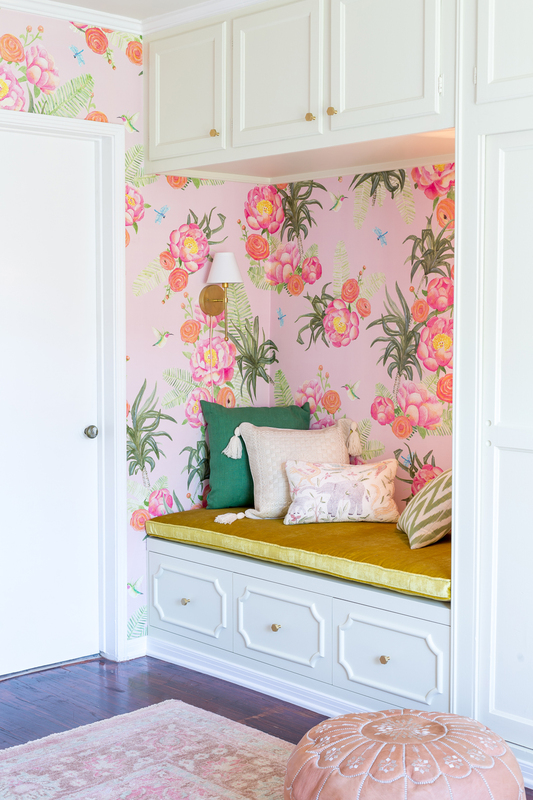 We loved the idea of adding a built in bench seat to the cabinetry that could become a cute reading nook. First thing to tackle though was the wallpaper. Sara’s commissioned her talented friend Samantha Santana to design it and after us showing her ideas and she came up with a few options. 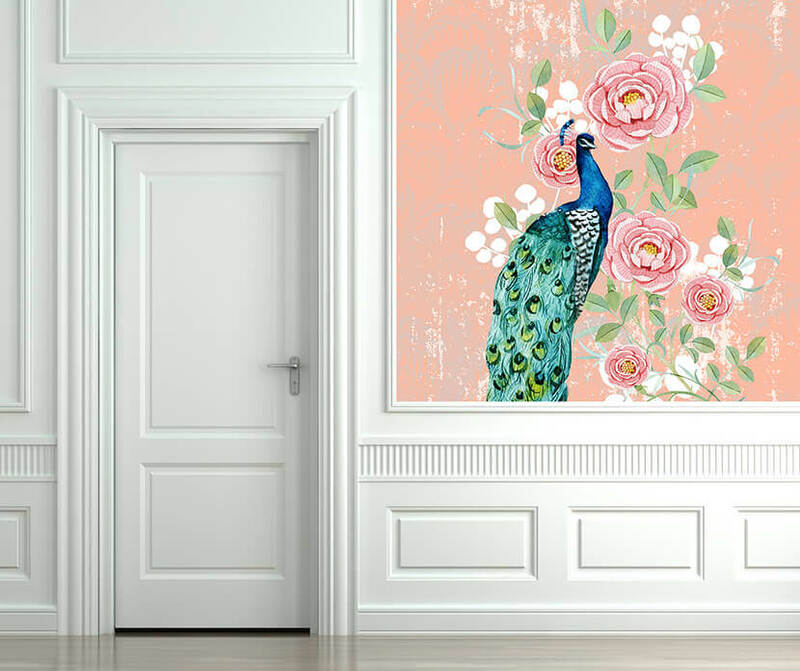 Whilst we like the idea of adding a bird in there the first option above felt quite heavy especially as it would be featured on all four walls. The flowers were definitely on the right track but they felt a little too polished, so we asked her to look at making it feel a little more fluid and modern. 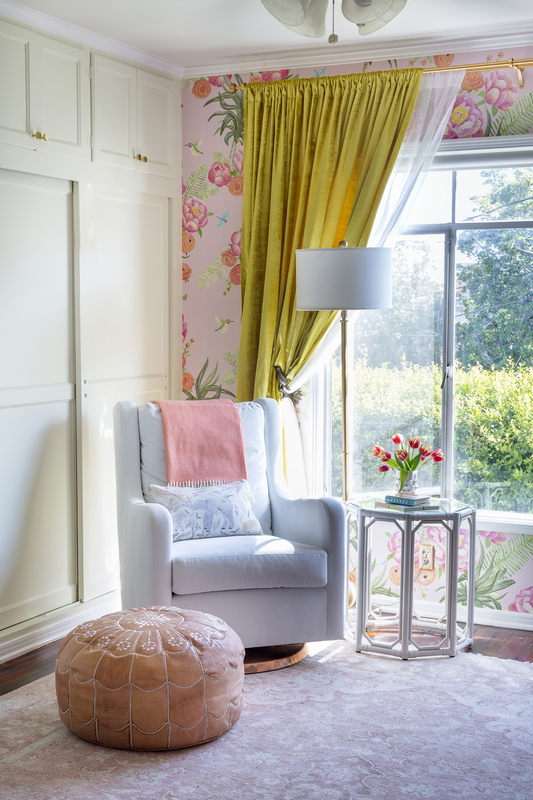 The second round felt more like what we all envisaged – bold colour but soft because the water colour and modern with an added a touch of SoCal. We opted to go for the pink background since most of the furniture would be white. A bolder choice but one we don’t regret. Samantha went on to create a pattern repeat and show how it would look like to scale. Our only note on this was it felt like there were lines/stripes between the design so we asked her to make it feel more organic. Since we wanted to use predominantly Lulu & Georgia products I started to pull product moodboards together. This process can take time and we end up producing several boards throughout before we come to a final decision. Not only that but we end up ordering samples of things like rugs and drapery fabrics so we kinda go away from using the boards when physical products start coming in. 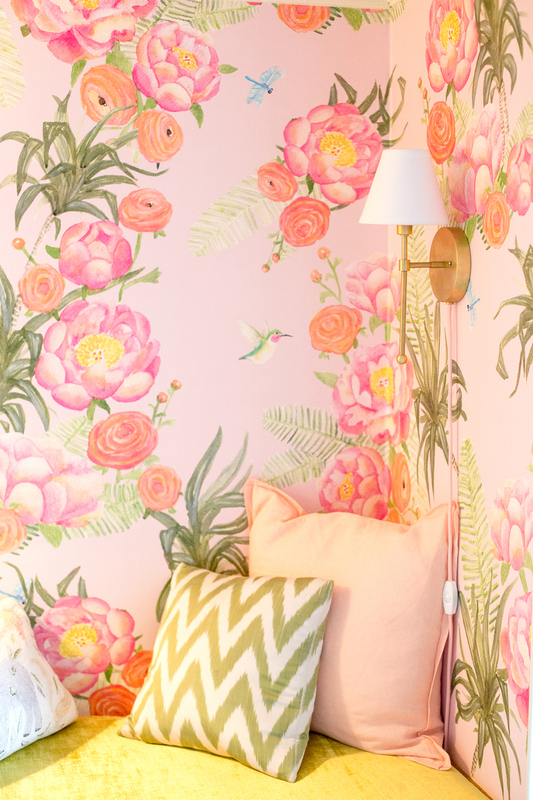 And here it is – bold, floral and old Hollywood. 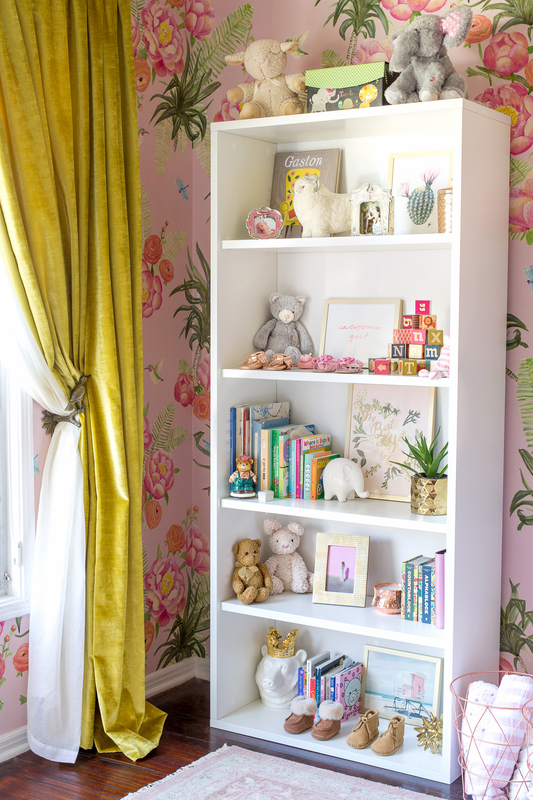 The wallpaper really is the star of the show here and Samantha did a great job. We kept the furniture fairly simple and white and let the accessories pop. 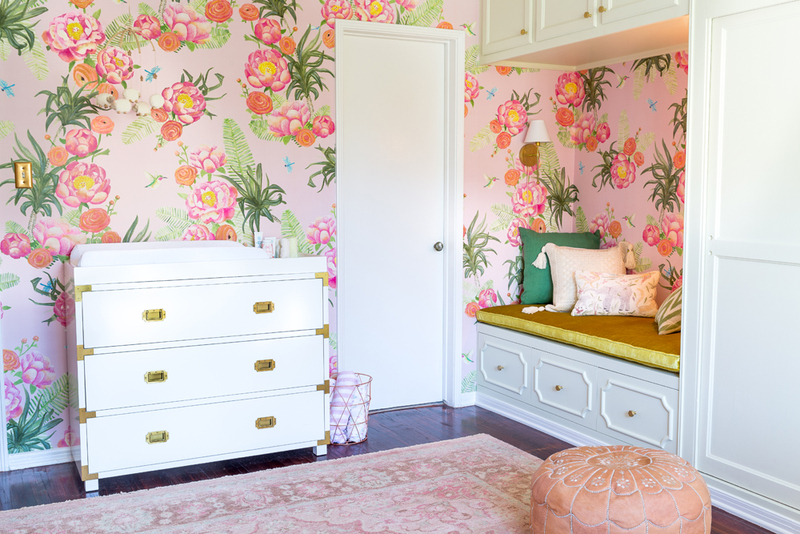 We used a vintage inspired pink rug from Lulu & Georgia, and even though it also has a busy pattern it doesn’t compete with the wallpaper since it’s more tonal. 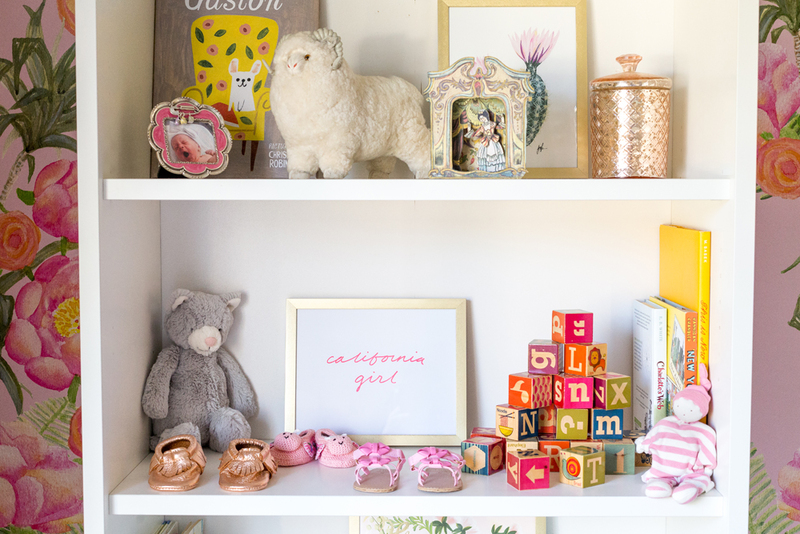 I proposed a few different shelf options but we decided on a very simple shape and that way all the colourful toys, artwork and accessories would be the highlight here. One of my favourite parts of this room is the introduction of the chartreuse colour which was pulled from the yellow in the wallpaper. This was a hugely bold move and I was all for it and luckily managed to convince Sara and Emily to go for it. We layered the rich velvet on top of white sheers and that way Sara could have the best of both worlds: privacy with light and blackout for bedtime.We had them custom made with by a seamstress friend of Sara’s. We made them slightly longer and that way they’d puddle on the floor further demonstrating the glam regency style. 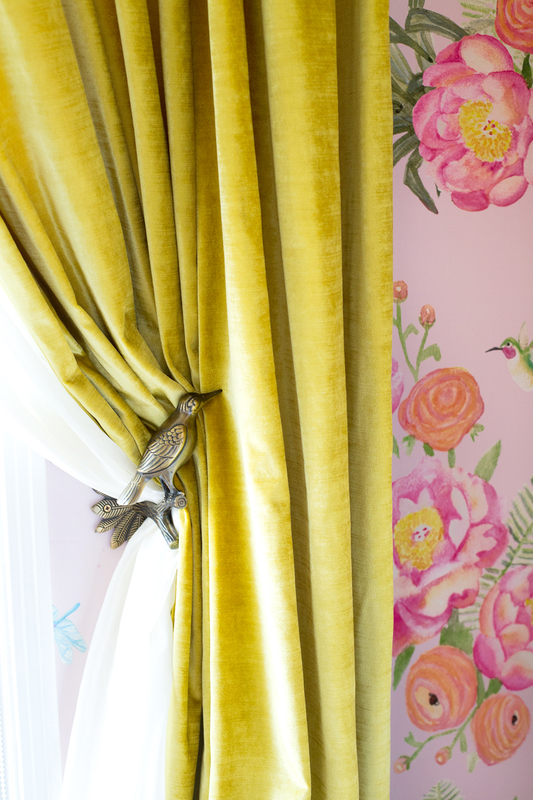 We paired the drapes with this sweet bird tie back from Anthropologie. 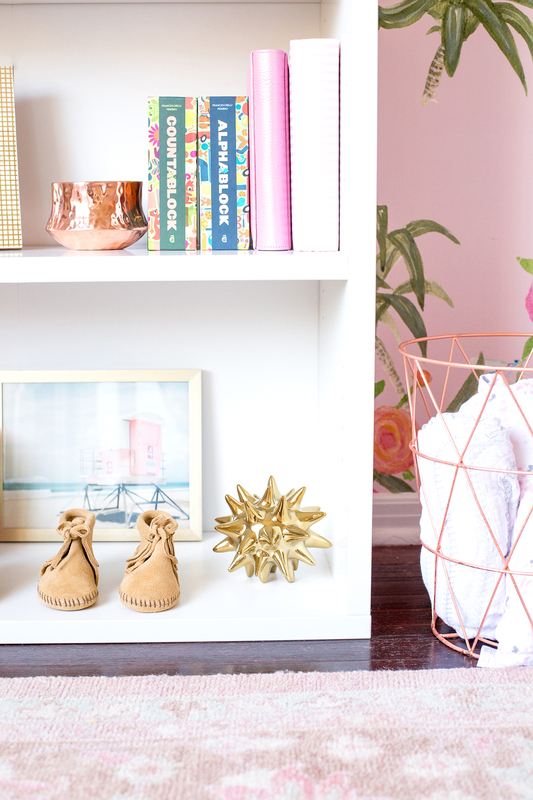 Sara had already started a cute shoe collection off for Vivian, and these are always a cute prop to style out your shelves with. We all fell in love with the copper-based glider (sadly no longer available) and paired that up with this natural colour leather pouf , white bamboo side table and brass standing lamp. 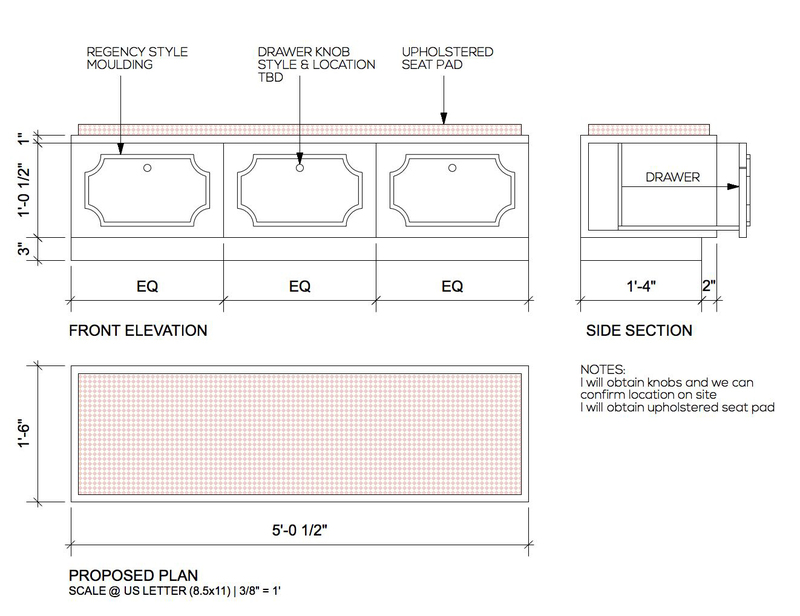 For the built-in we wanted to give it a regency element so I drew up a plan with some detailing to the front of storage drawers. It feels like the bench has been here since the other cabinets. Our carpenter Ramon did such a great job and made sure the new baseboard matched the existing. We added a bench pad in the same velvet as the drapes to bring that colour over into the other side of the room. I also managed to convince everyone that we paint the cabinets out in a very pale green from Farrow & Ball. For me, it gave a subtle kiss of colour without being in-your-face-green. We added cute satin brass knobs from Schoolhouse Electric to finish it off. 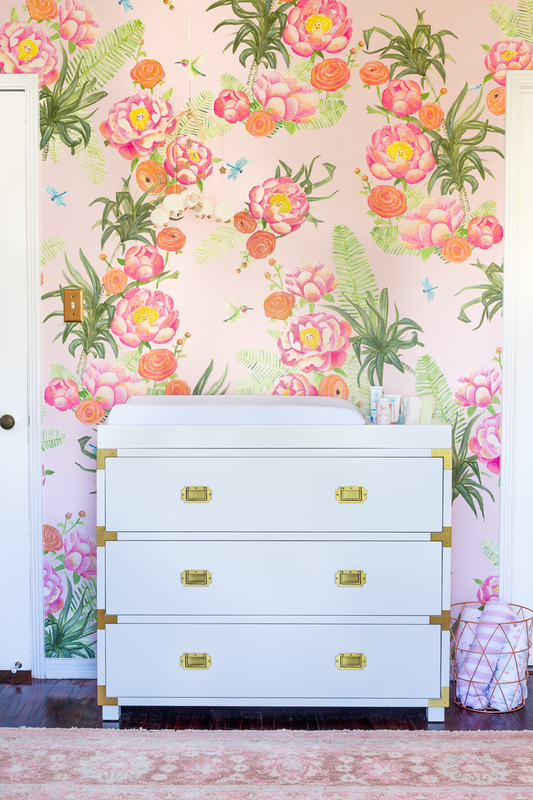 For an added bit of glam and traditional style we found this campaign dresser that can also be used with a topper as a changing table. 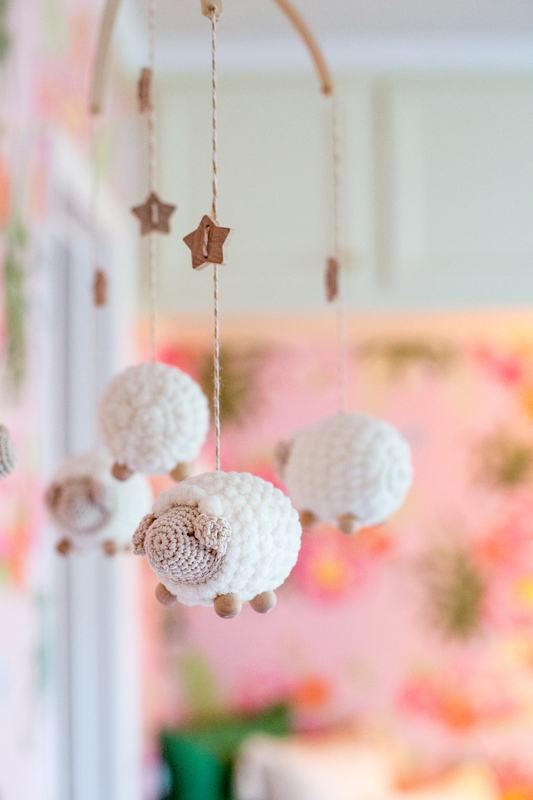 Sara found this super cute sheep mobile from Etsy which gives a little heigh in this area. We didn’t want to cover over the wall with art or a mirror since the wallpaper is such a feature. For an even more cosy reading nook we added some brass sconces and whole lotta throw pillows. 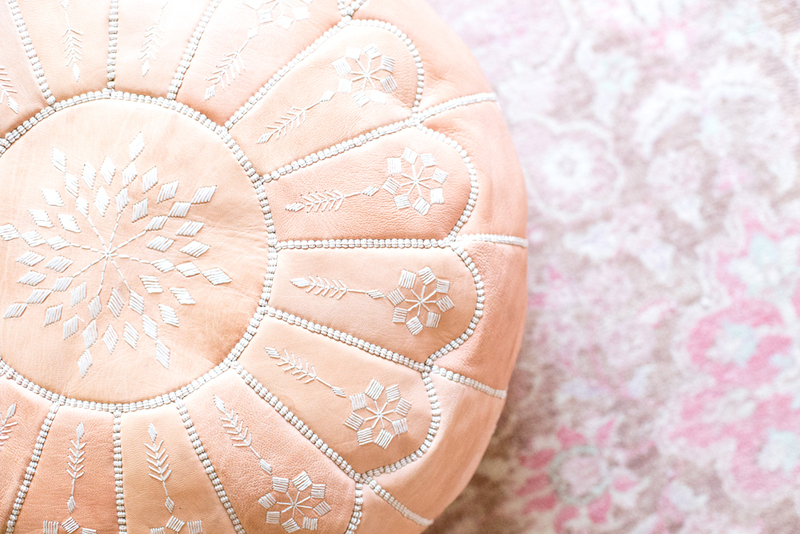 I just love how fun and girlie yet sophisticated this room feels. 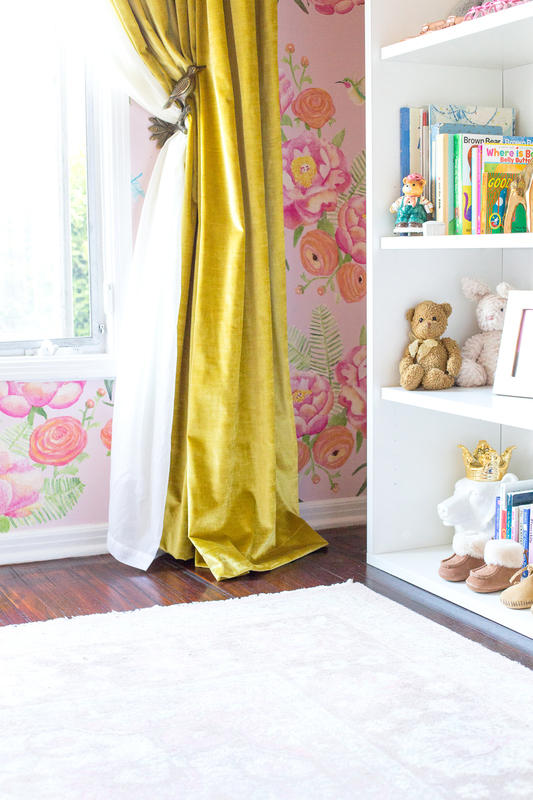 And it’s the small details like the green paint and bird tie-backs that make this room extra special. 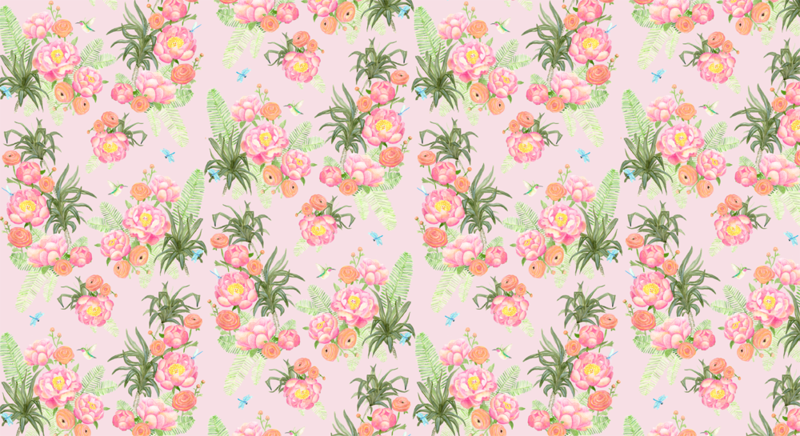 And as for the wallpaper, that totally speaks for itself. * Designed & styled by Ginny Macdonald for EHD.